What is Neighborhood Watch and Apartment Watch? A watch is a crime prevention program which enlists the active participation of citizens in partnership with the police department to reduce crime in their communities. Neighbors getting to know each other, taking the time to care about each other and working together in a program of mutual assistance. Crime prevention strategies such as home security, Operation Identification and others being implemented by citizens. You may hear it called Neighborhood Watch, Apartment Watch, Home Alert, Citizens Crime Watch or Block Watch. The names differ, but the idea is the same – neighbors looking out for each other. Why Neighborhood Watch or Apartment Watch? There can’t be an officer on every block so citizen involvement is essential to combat crime. You and your neighbors are the ones who really know what is going on in your community. By cooperating with each other and the police, people can help fight crime in their community in the most effective way – before it begins! Neighborhood Watch members place stickers in their windows and Neighborhood Watch signs on the streets warning criminals they are in an active Neighborhood Watch Community and “neighbors are watching out for each other”. Get to know some of the officers working your area. How to prevent burglaries, auto theft, assaults, elder abuse. Safety strategies for children, women, disabled and the traveling public. How to be the eyes and ears of the police. How to report a crime and give descriptions. How to assist in a police investigation. What is the difference between Neighborhood Watch and Apartment Watch? The difference is determined by where you live, otherwise, all the principles between a Neighborhood Watch and Apartment Watch are exactly the same; looking out for one another. 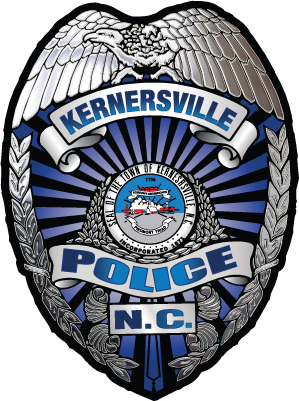 If your community does not have a neighborhood watch group the Kernersville police department can provide you with guidance in starting your own group. Please contact us at crimeprevention@toknc.com.